I cannot reveal my identity for obvious reasons. But, I am a system insider. I would like to offer the following reasons on why Lungu did not travel for the Commonwealth Summit. 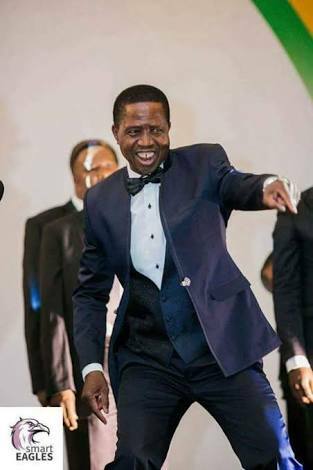 Lungu has been completely unsettled by this impeachment process. Apparently there is a rebel group of 43 PF members along with the 14 Independent MPs – who have resolved in collaboration with GBM and Gary Nkombo – to vote to impeach Lungu. The corruption in Lungu’s regime is so rife that many Government and party functions simply aren’t working at the moment. Just as the motion was being tabled, one member of the rebel group – who is not very wealthy and is one of the people with that Constitutional Court demand for payment for using Government resources to campaign during 2016 hanging over his head – got cold feet and reported the scheme to Lungu and advised Lungu not to travel outside the country because they may use this opportunity to have an emergency session of Parliament to throw him out of office whilst he is away. Lungu has now unleased Kaizer Zulu to bribe and intimidate the other members of the G43 if you like and the Constitutional Court demand for payment is being used as a weapon against quite a few of them. But, it has been reported that some good samaritans outside Zambia are getting money together to help them settle the amount without Lungu’s help and all will shortly move to settle all their obligations as required by the Constitutional Court. Lungu is now working on a big purge in the PF as well as in the Security Services to make sure that any forces that could potentially oppose him are eliminated. Paul Mihova’s is his first target. But, he is quite popular in the ranks and he is having trouble finding a lacky to become commander. Fellow Easterner and Deputy Maj Gen Jackson Miti – who was earmarked for the position – has proved to be a proper professional and has not fallen for any of Lungu’s dirty schemes. In fact, Lungu does not trust the army at all. The recent street vending operation revealed just how quickly the army could shut down the country in the event of a take-over which is why Lungu assigned the Air Force to the task as they are seen as less of a threat. Lungu is a very frightened man at the moment. Stupidly, he is showing the world just how frightened and weak he is by legal and administrative measures to stop the impeachment motion and his on-going purge in PF and the army is weakening his position not strengthening it. What is worse, South Africa and China who have massive business interests in the country are watching the situation very closely. The total disregard for the Rule of Law that Lungu is exhibiting as well as the blatant ethnic bias in the way appointments are being made – not to mention the massive corruption Lungu is involved in with Chinese nationals – are seen as potentially damaging China’s image in Africa and weakening its global geopolitical position. Though China usually turns a blind eye to internal politics within countries, Lungu’s behaviour and corruption is seen as being potentially destablising in this part of Africa as well as damaging China’s image in Africa as a whole and trust me many in the Chinese establishment wouldn’t mind seeing the back of Lungu. The West on the other hand – the Americans in particular – don’t want any major issues in Zambia. Under Trump, the US is pursuing a silent disengagement process from Africa and they don’t want a problem in one of Africa’s most peaceful countries to force them to care about Africa. The noose is tightening very quickly around Lungu. If the opposition is clever and keeps pressuring him on this impeachment before he completes his purge of PF then he will be punched into a corner. If he expels the whole G43 from PF that could completely crack PF and lead to a full on rebellion against him. If the impeachment motion is allowed to continue to hang, international attention will soon focus on the issue and force his hand. Julius Malema who is no fan of Lungu is getting quite close to Ramaphosa. So Lungu better watch out because Ramaphosa is working very hard to get Malema into his camp. If Matabini continues to dither, there is a possibility that there will be a no-confidence vote against Matabini and he will be replaced by a more favourable speaker. Finally and most importantly, if he drags out this impeachment process the public discontent will only increase and accelerate to a breaking point and make his position totally untenable as it did for Chiluba during his 3rd term bid. Lungu has played this impeachment situation very badly and may just have inadvertently increased not decreased the likelihood of his being removed from office. Let’s hope the opposition are smart and strong and the G43 too. This man is a stain on this country and must be removed as quickly as possible.